We’ve all been there at some time – someone says: “Let’s get it fully functional, then put it through its EMC tests. When we know how it fails, we’ll re-spin the design to fix the EMC”. But just because words are easy and quick to say, does not mean that the actions resulting from them will be either easy, or quick! In the case of the words in quoted above, it is the concept of “re-spinning a design” that hides important knowledge needed to de-risk the project. These modern times, we talk about ‘re-spinning’ a design, when in olden times we used say ‘iterate the design’. OK, the new jargon sounds cool and all that but sadly it obscures a truly vital design risk issue – the first version of a design governs how long the whole design process will take. You might remember from mathematics classes, and if not you should quickly google it, that the convergence rate of an iterative process depends very strongly indeed on how close the first “guess” is, to the unknown solution that we want to find. We use iteration when we don’t have, or can’t get, a precise mathematical formula for the situation we are faced with. Designing the EMC of a modern electronic product to comply with certain standards definitely falls into that category! If the first guess is close to the final result, the solution that we are looking for, the iterative process “converges” very quickly to that result. It might take only one or two iterations to get a sufficiently accurate solution. If the first guess is not very close to the final result, convergence to the desired level of accuracy will require a large number of iterations. It might take five, ten, even twenty “goes around” the iterative loop to get an accurate-enough solution. But if the first guess is a bad one, the iterative process might never converge at all! No matter how long you spend re-iterating, the solutions never get closer to the final value and might even get worse. Sometimes they end up simply oscillating between different worst-case maximum values, which is no use to anyone. Applying this understanding of how iterative processes work, to EMC design, we can see that – if we want to de-risk the EMC compliance part of a project – we need a fast rate of convergence, and so we must ensure that our first ‘stab’ at a design is as close as it can be to meeting its EMC specifications. If we have done a good-enough job with our EMC design, we can expect to have our EMC compliance with one, maybe two more design iterations. And these iterations will only be small, and so will be quick to do. But because many project managers and designers talk about re-spinning, and don’t understand the vital importance of getting the design as good as possible first time around, I have often seen boards that have gone through ten (or more!) design respins and still fail their EMC tests badly. This was because their designers didn’t have any understanding of good EMC design, so their first design was a bad one and all the changes they applied in subsequent ‘re-spins’ to try to ‘fix’ the EMC problems only resulted in boards that failed just as badly, although sometimes differently badly. The reason why I have seen this so often, is that ten or more re-spins and EMC tests usually takes way more than a year, and the upper management are forced to bite the bullet, grit their teeth, and hire the much-too-expensive experienced EMC design consultant. Who will reliably show them how to modify their design to pass their EMC tests on the next re-spin, or at least get close enough that only a few easy, quick modifications are then required to pass. Over the last 27 years of EMC design consultancy, I have found myself in this exact situation several times a year on average. Designers who attend my training courses – and then fully apply what I have taught them – always create products that require at most one, perhaps two small and quick iterations to comply with their EMC specifications. This generally results in halving (at least) their time-to-market, which has huge financial benefits – never mind considerably reducing their stress levels, and allowing them to see more of their families! Sometimes these designers are so pleased with their results that they write nice things to me. Some of them even allow me to publish them – you will find a few on my testimonials page. Quite a few prefer not to broadcast their good results, because they don’t want their competitors to have the same advantages. Now that my training course materials are available on-line, priced to be suitable for individual purchasers, you don’t have to wait until your management finally gets around to employing me to teach an in-house course for your company. 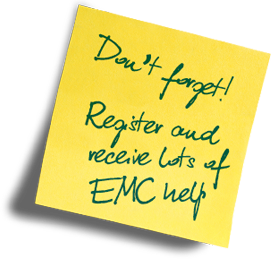 Public EMC training courses are arranged from time-to-time, but they are usually much more costly on a per-person basis than holding an in-house course (providing you can get more than 5 people to attend). In recent years Tim Williams and I have shared teaching some basic EMC design topics at the EMC-UK Conferences, which are much less costly than the usual public EMC courses. Calling design re-spinning by its original, proper name – design iteration – helps remind us that to be cost-effective designers, and to de-risk projects, we must always know enough about designing for compliance with every specification that our products, equipment, systems, etc., have to meet, because we have to create a good first design. The iterative process is totally unforgiving. Not creating a good first design, for EMC or any other specification, is always bad news – and could easily become an outright financial disaster. EMC is such a complex subject, that no-one ever “gets lucky” (well, not twice, anyway!). 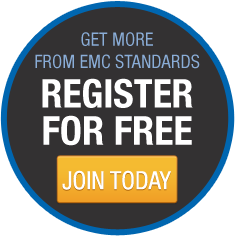 There is no substitute for good, practical, well-proven EMC design techniques, and these are readily available from emcstandards.co.uk. Like I said, calling a design iteration a “design re-spin” obscures the fact that, as designers, we are always involved in iterative processes. So: it is imperative for reliable financial success for us to know enough to ensure that our first stab at a new design will be quite close to the final version that we will sell.